I AM happy, and evidently it shows! It has been a while since someone told me I looked happy. Frankly, outside of my home life, I have been terribly unhappy. What’s worse: I allowed it. How sad is that? I opted for the ‘safe’ path – the secure job at a place that I now see was bad for me. Why did I sit on my laurels? Because it was easy not to change. Well, change has brought me happiness. So far my gamble has paid off, and as long as I continue to work hard and stick to my plan I know nothing can stop me. If you are bogged down by self doubt, complacency, and fear like I was I want to encourage you to take a chance. The beauty of change is that ANYTHING is possible! You just have to decide to make it happen. To celebrate my first month of my new path I made myself some blondies. 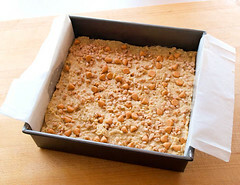 Yes, I do celebrate with a WHOLE pan of blondies. Don’t judge. 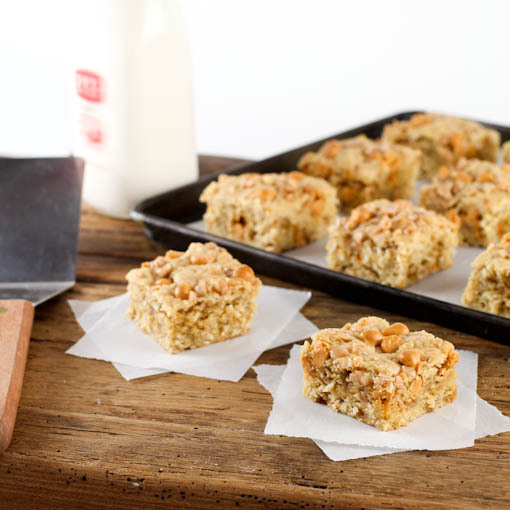 I love blondies because they are a great place to play with flavors. 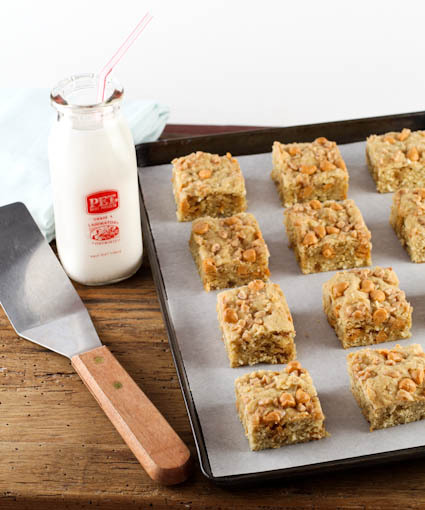 Mixed into these blondies are unsweetened coconut, butterscotch chips, and bits of buttery toffee. 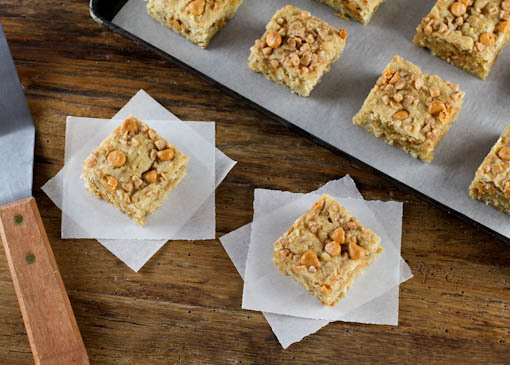 To keep these blondies moist you should err on the side of under-baking. I started checking at 15 minutes and found mine were ready around the 16 minute mark. They were just starting to puff in the center and were firm around the edges when gently pressed. If you don’t like my flavor choices – and that is ok, we can still be friends – you can substitute whatever you like – chocolate chips, dry fruit, nuts, or chopped candy. Your options are endless! Heat the oven to 350 F and spray an 8x8-inch pan with non-stick cooking spray., Line the pan with parchment paper, leaving a 3-inch overhand on either side of the pan, then spray the paper with non-stick cooking spray. 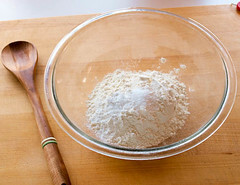 In a medium bowl combine the flour, baking powder, and salt. Mix well to blend. 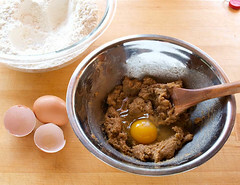 In a small bowl cream together the butter and sugar until just blended, about 30 seconds, Add the eggs, one at a time, mixing until well blended before adding the next, about 1 minute each. Stir in the vanilla. 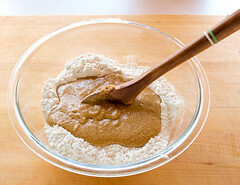 Pour the wet ingredients into the dry and mix until just blended, about 10 strokes. 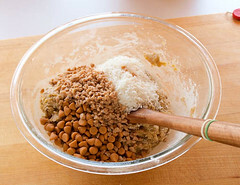 Add the coconut, toffee, and butterscotch chips, and mix until thoroughly distributed, about 10 more strokes. Do not over-mix. 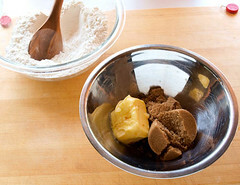 Carefully spread the blondie batter into the prepared pan then bake for 15 to 18 minutes, or until the edges of the blondies are golden brown and the center is just starting to puff. 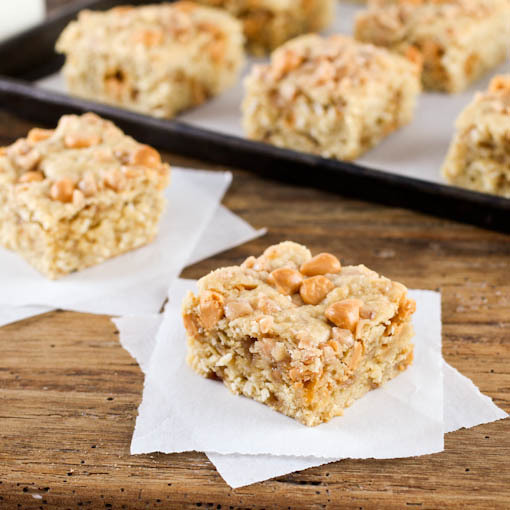 The blondies will be pale on top. Do not over-bake. 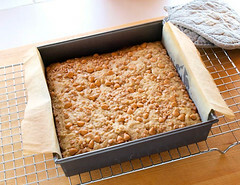 Allow the blondies to cool completely in the pan before carefully using the parchment to lift them out onto a cutting board. Cut into 16 pieces.